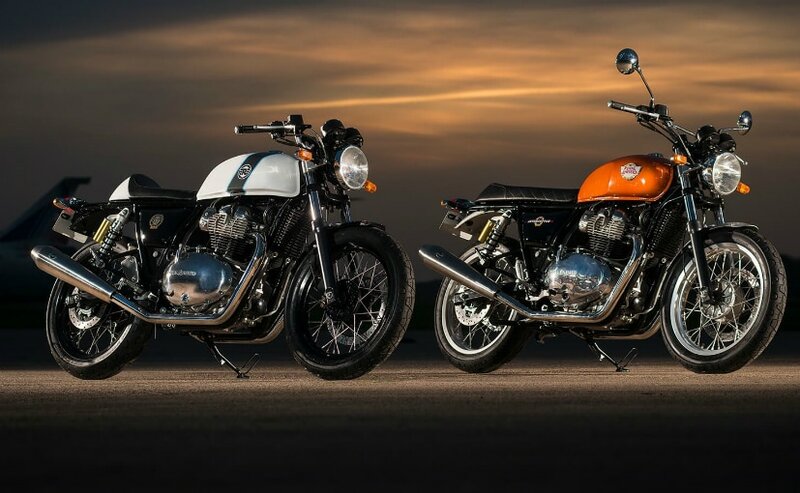 The service manual of the upcoming Royal Enfield 650 twins has been leaked online, increasing the possibility that the Royal Enfield Interceptor 650, and the Royal Enfield Continental GT 650 may be launched very soon, maybe even as early as 2-3 months from now. The Royal Enfield 650 Twins were first unveiled at last year’s EICMA show in Milan, and they were officially unveiled in India at the Rider Mania 2017. Royal Enfield has organised an international test ride of the two 650 cc motorcycles, and we will be riding both these bikes in September to see what the bikes have to offer. The leaked pages of the service manual reveal details like the dimensions and technical specifications, most of which are already known and in public domain. Both the Interceptor 650 and the Continental GT 650 measure 1,024 mm in height, and have 174 mm ground clearance, with a seat height of 804 mm. The Royal Enfield Continental GT 650 comes with a fuel tank capacity of 12.5 litres, while the Interceptor 650 has a slightly larger fuel tank of 13.7 litres capacity. Both bikes come with 18-inch wheels, and come with conventional 42 mm telescopic front fork and twin shocks for the rear suspension duties. Braking is handled by standard dual-channel ABS, with a 320 mm disc on the front wheel and 240 mm rear disc. The Continental GT 650 has a kerb weight of 198 kg, while the Interceptor 650 has a kerb weight of 202 kg. Both bikes are powered by the same engine – a brand new, 649 cc, parallel-twin engine which is tuned to make 47 bhp of power at 7,100 rpm and 52 Nm of peak torque at 5,200 rpm. The air-cooled engine is mated to a six-speed transmission. This is the first parallel-twin engine in Royal Enfield’s modern history, and the company will be looking to launch the bikes globally. While there’s no concrete news of a launch date as yet, we expect Royal Enfield to launch both bikes simultaneously in India, and across the world, sometime by late October, or early November. Expected prices are in the region of ₹ 3.25-3.5 lakh (ex-showroom) in India.